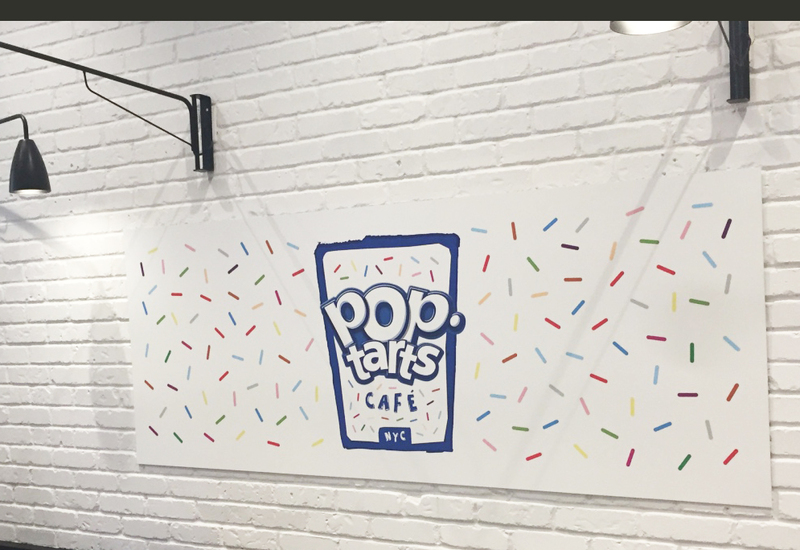 Pop-Tarts have been an American favorite since they were first introduced in 1964. 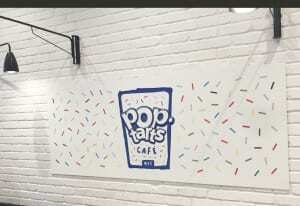 In fact, the Air Force in 2001 executed an airdrop of the popular pastries in Afghanistan to send a message of good will from America. Now, thanks to a pop-up experience in New York City, Americans are rediscovering their love for the sweet treats all over again—at least through the weekend. 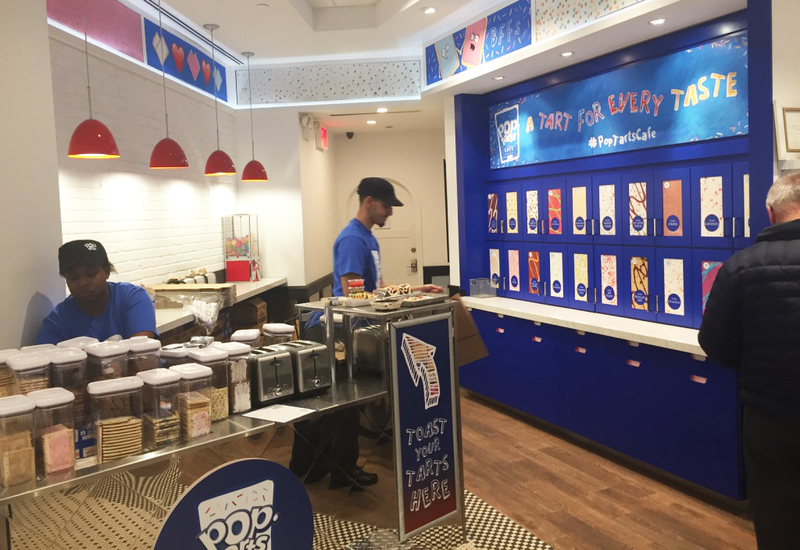 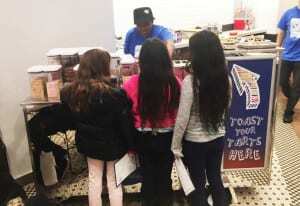 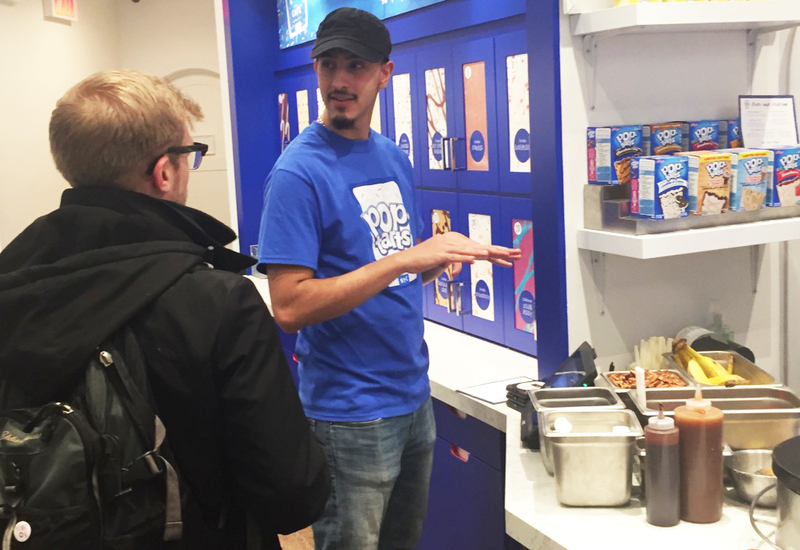 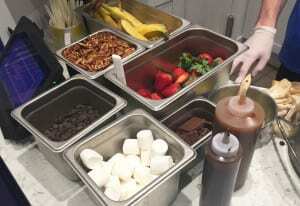 Kellogg’s Pop-Tarts Café, which popped up Tuesday and closes Sunday, has taken over the brand’s permanent cereal bar space in Times Square to offer New Yorkers a creative menu that aims to reimagine how Pop-Tarts are consumed. 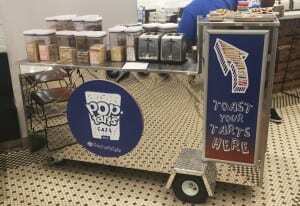 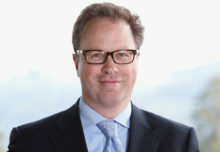 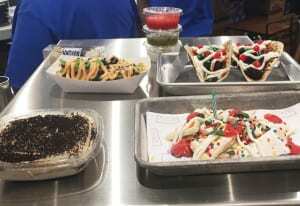 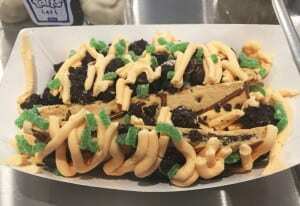 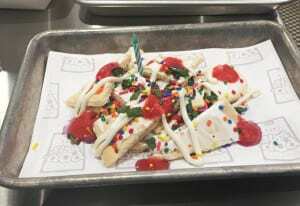 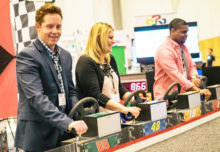 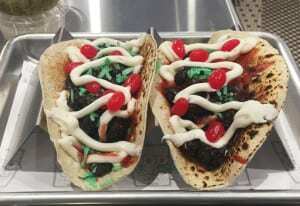 In an effort to connect with consumers in a new way and promote the pastries as an any-time-of-day snack (not just breakfast), Kellogg’s is offering dishes like Chili Pop-Tarts Fries and Birthday Fiesta Nachos to adventurous diners willing to pay $8-$12 a pop. 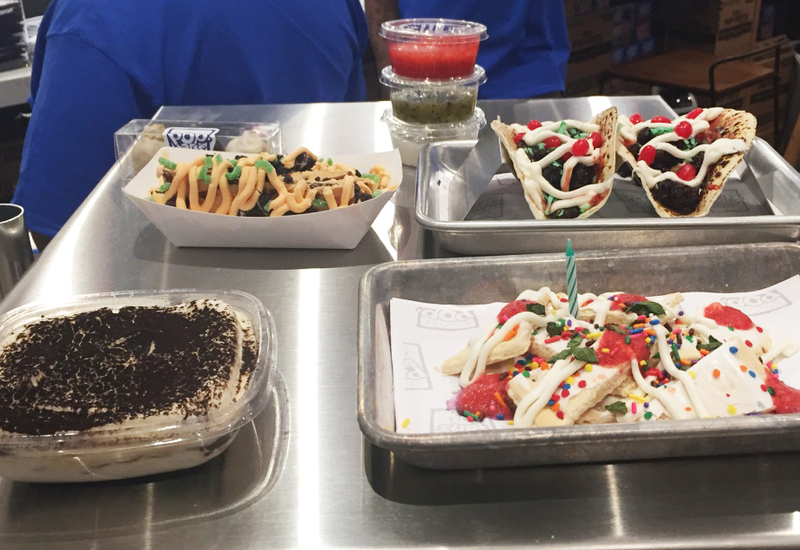 EM couldn’t resist the quirky concoctions, so we hopped a train to get a taste of the experience—and maybe a S’mores Burrito or two. 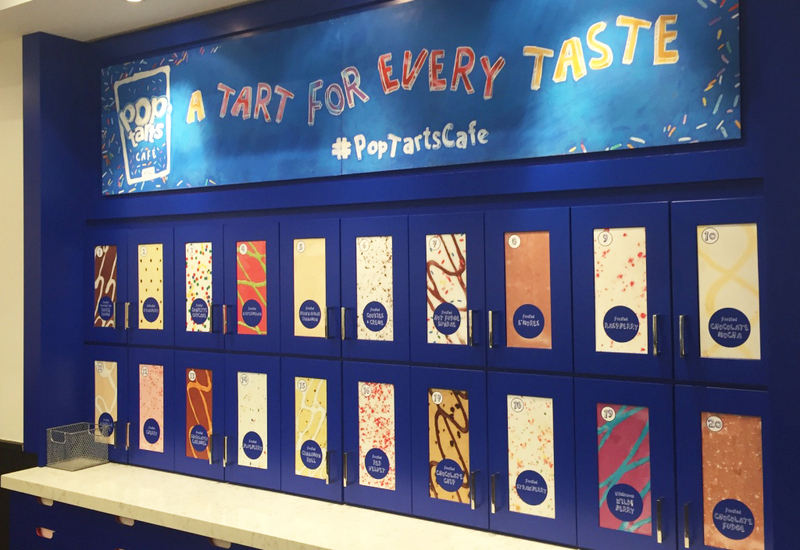 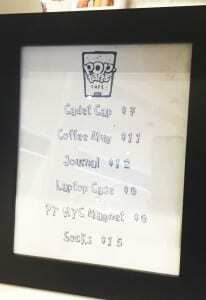 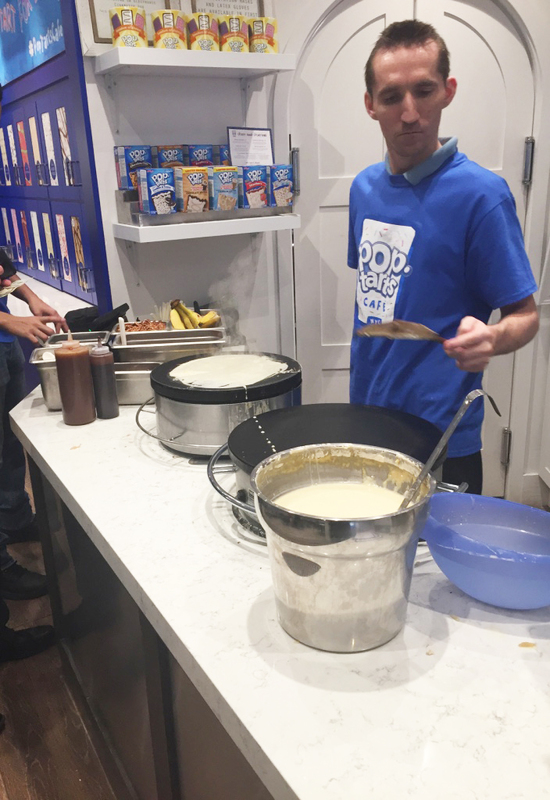 Follow along as we take you on our tour of the Pop-Tarts Café. 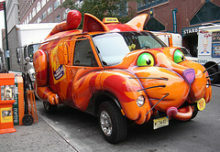 Agencies; Sparks, Philadelphia; Edelman, Chicago.